I’m wishing I worked for a employer who rewarded my 2 plus years of faithful part-time service with a paid vacation. It sure would be nice to get away from the rat race for a bit. My fantasy lucrative book advance is not yet on the table or in my pocket, and unfortunately, I am unable to afford to take unpaid leave. I’ve decided the next best thing would be to embark upon a virtual vacation with books as my travel companions. There are a number of books about France on the bookstore shelves at the moment so I began my journey with a goblet of Bordeaux, a slice of brie, and Lunch in Paris. I enjoyed this easy to read love story/memoir of a young woman who falls in love and marries a Parisian. The author included vivid descriptions and recipes of many culinary delights in Paris and left me craving dark chocolate and French bread. Odd coincidence, I joined the Friends of the Library group a few months back and decided to attend their monthly meeting. As introduced myself to the elderly Board members, one well manicured lady took notice of my French surname. “Oh! My husband is French,” she said. “He has relatives there and we’ve been there several times.” Lowering my head a bit, I replied that I had never been there. She went on to tell me they had just read a wonderful book called C’est la Vie, recommending it highly. When the meeting was over, I consulted the library catalog and discovered they had not obtained the book there as it was not listed. Quel dommage! I was so anxious to read the book. I requested the book from another library and waited patiently for its arrival. Was I ever glad I did! Lunch in Paris was enjoyable, but I loved C’est la Vie. From an age and single woman perspective, I could relate to it as it was written by a recently widowed woman in her early 50’s who decided to spend a year in Paris to decide if she liked living there well enough to make it a permanent arrangement. It was wonderful and funny and informative and I felt like I gained a great deal of first-hand knowledge that would be useful should I ever take a trip there. The author is a seasoned world traveler and shopping expert. Her inside tips were fascinating to me. It has been my long-held belief that if I were ever to make the trip to France, I might never return and this book reinforced that belief. Maybe if I brush up on my high school French and learn the metric system, I will fit right in when I do go there for real! 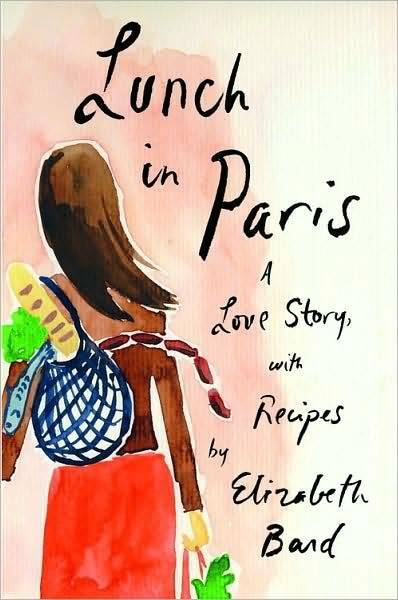 This entry was posted in Uncategorized and tagged Books, Elizabeth Bard, food, France, Paris, Retirement, Suzy Gershman. Bookmark the permalink.